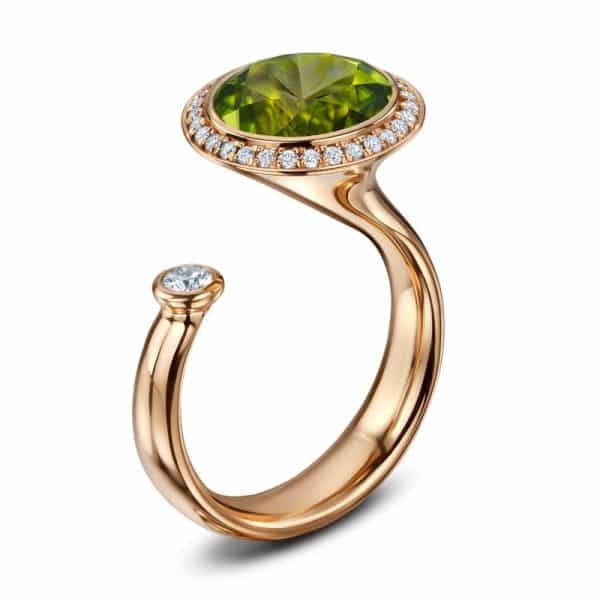 An inspired, sculptural form, of fluid, strokeable lines, Satellite is a signature design, its varied stone sizes, positions and asymmetry making for an extraordinary piece of jewellery. The colour and intensity of the green peridot is countered by a sweet, solitary diamond; eternally dazzling and enthralling. 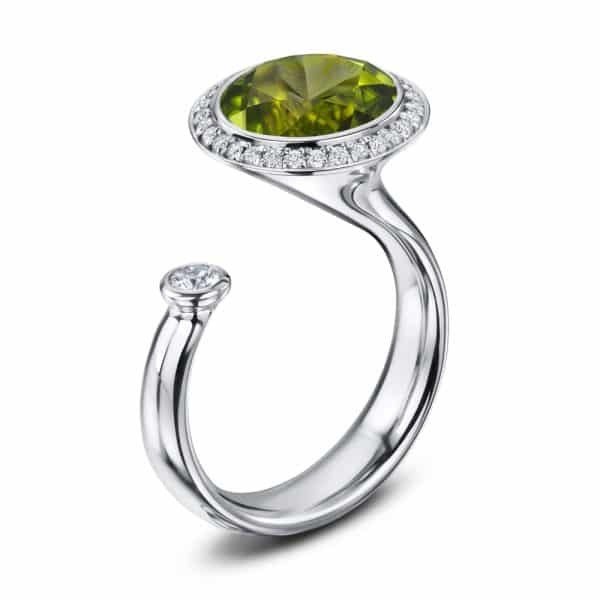 A vibrant green 3.5ct (approx) peridot with a bright diamond surround of 0.18cts and a 0.10ct satellite diamond – all G VS. The Satellite collection is available in a host of gemstones including amethyst, peridot, London blue topaz, Swiss blue topaz, iolite, rose quartz, rutilated quartz, tourmilated quartz, tourmaline and opal, and in settings of platinum or 18ct white, rose or yellow gold. The unique design is also available in pendants, earrings and also all diamond rings.